Despite the smaller-than-usual showing of automakers at this year's Super Bowl, six brands continue to rack up post- Big Game YouTube views on this week's Adweek/VidIQ top branded video chart. 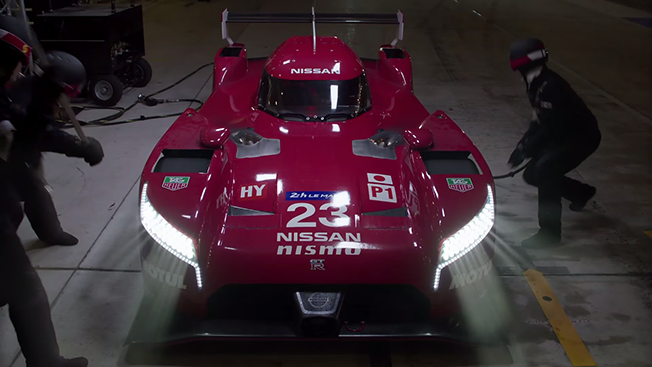 Nissan's 90-second "With Dad" commercial claimed the No. 1 spot on the chart, followed by Fiat's buzzy "Blue Pill" ad. While both videos were uploaded on Feb. 1, Nissan's clip had been watched 17.9 million times compared with Fiat's 12.7 million views. Dodge's "Wisdom" ad—its latest in a series of ads celebrating the brand's 100-year history— generated 11.9 million views as of Saturday. Jeep's "Beautiful Lands" spot accumulated 10.6 million views after it was released on Super Bowl Sunday. BMW and Mercedes-Benz were the earliest to post their spots to YouTube on Jan. 26, grabbing the No. 6 and No. 7 spots on this week's chart, respectively. The remaining four videos on this week's chart are also Super Bowl commercials from Budweiser, Nationwide and T-Mobile. Check out all of this week's winners in the interactive infographic below, powered by VidIQ.